« Can You See the Blind Man? 1. Can a God-fearer purposefully take the life of an evil person? 2. Should God-fearing people celebrate the death of an evil person? As with many moral dilemmas, I think I was first confronted with the question of pacifism through reading war novels as a teenager. I remember reading Mila 18 by Leon Uris and the struggle the Jewish citizens of Warsaw had as the Nazis first captured the city, then literally walled them off into a ghetto, followed by aggressively eliminating them. I still remember vividly the tense debates between the rabbis who argued for patience and trust in God to deliver them and the Jews that wanted to take up arms and resist the evil perpetrated upon them. The same dilemma occupied faithful Christians in National Socialist Germany. I just finished reading Bonhoeffer by Eric Metaxas. In some ways, the whole Confessing Church struggled with resistance to the evil Hitler began introducing long before he was powerful enough to begin killing Jews. One of the first things he did was to corrupt the church, installing leaders more faithful to him than to Christ, re-writing creed and doctrine to fit new moral standards, and imprisoning those Christians who refused to adopt the new church order! What would you have done as a Christian when the God-ordained government (Romans 13) corrupted the church? Would you have disobeyed the government or sought ways to “live at peace with all men?” Would you compromise by keeping silent and not resisting your church leaders because you were to submit to those who rule over you? Then, of course, Hitler and his government changed the social rules of morality: no commerce with Jews, report any bloodline discrepancies, have babies for Hitler, ad nauseum! What would you have done when ordered to act like a bigot or to betray your neighbor? A German friend of ours told us that one day her best friend—a little Jewish girl—didn’t show up at school—anymore. No one dared to ask—she didn’t ask—because if you asked, you would be the next one who disappeared in the middle of the night! What would you have done? Would you have hidden Jews in your home as the ten Booms did? Would you have lied to protect them when the Gestapo knocked on the door? Six million Jews died in concentration camps, four million German civilians died in WWII, seven million Russian civilians, six million Polish civilians—none of these numbers include the soldiers who died. “Shall I shoot? I can get inside the Fuhrer’s headquarters with my revolver. I know where and when the conferences take place. I can get access!” In November 1942, Werner von Haeften, a staff lieutenant of Hitler’s High Command, could no longer hold his burning question in check. The man confronted Bonhoeffer with this question because they both were Christians with deeply held convictions. We now realized that mere confession, no matter how courageous, inescapably meant complicity with the murderers, even though there would always be new acts of refusing to be co-opted and even though we would preach “Christ alone” Sunday after Sunday. Thus we were approaching the borderline between confession and resistance; and if we did not cross this border, our confession was going to be no better than cooperation with the criminals. And so it became clear where the problem lay for the Confessing Church: we were resisting by way of confession, but we were not confessing by way of resistance.” (Essays on Dietrich Bonhoeffer. Grand Rapids: Eerdmans, 1995. P. 24). As I sort through this difficult question myself, I come to what I believe to be true from my own understanding of God. 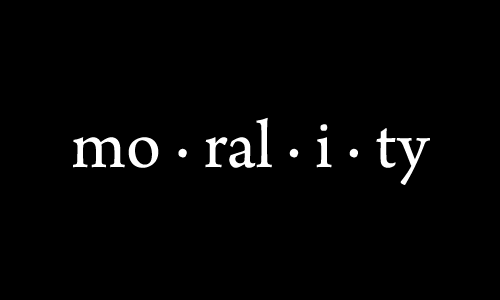 God never asked his people to do anything that was intrinsically evil. He repeatedly told the Jews to purge themselves of those who did evil and to put them to death (Deut. 13:5; 17:5, 7, 12; 21:21 and more.) He did not order them to do evil. Moses ordered the killing of Israelites who chose the golden calf. God’s judges killed those who did evil. David, the man after God’s own heart, killed Goliath. What do you do with these executions of evil people, apparently approved by God? God does use servants to punish those who do evil! God hates evil. Yes, he is longsuffering so that all can come to repentance—and we must be also. He is rich in mercy–and we must be also, but His wrath is frightening and the wages of sin is death. Dear Mark- Dietrich’s actions initially as a double-agent, and then as a member of the resistance, arguably made him part of the Allied forces who carried out God’s wrath on the wrongdoers. Please see the latter portion of Romans 13:4. Therefore I do not believe he violated the Commandment not to murder. I appreciate your thoughtful treatment of this subject. I have had conversations like this several times in the last week. I wonder if you would expound on an answer to second question, that is, should God-fearing people celebrate the death of an evil-doer? I accept and agree with you that there are times when no “right” answer is present; that guilt may well be present in any available option. But I know many Christians who were troubled to see the wild abandon and celebration that accompanied news of bin Laden’s death. If there is guilt in the decision to kill, are we then guilty to celebrate it? to be relieved? to be grateful for the death? 3) Should humans view other humans as evil? On that point, I’m with Socrates: No man does evil intentionally. Of course, this does not specifically address the issue of what to do about Bin Laden. My only point is that when the policeman gives the guy a ticket for texting in a school zone, he does not have to pass judgment on his intentions. Just give him a ticket. We all do our best and are well intended. We all make mistakes. Howard, I’m at a loss as to where to go with an assertion that no man does evil intentionally. Is this a philosophical denial of good and evil? Is it based on the assumption that every person decides for him/herself what is good and evil? I really don’t believe that we all do our best and are well intentioned. And if Hitler thought he was doing his best and his intentions were good, he was monstrously mistaken–by any standard other than his own. As you know, my faith is that God Himself is the measure of all things and that His revelation is the source of our knowledge of good and evil. It is very hard to get within the heart of another. I start with my heart. I have never done anything intentionally to harm another. I have done harm, but never intentionally-with the intention to harm. If you and I are to discuss this, I suggest we begin with you and I. It is our hearts we understand. I have never done evil intentionally. Have you ever intentionally done evil? If you think so, let’s discuss. If we cannot reach consensus about our own motivations, it will do little good to try to discuss the motivations of Hitler or Osama. Having said that, I will add that we will get stuck if we try to define evil actions by the action itself. For instance, Truman killed 100,000s with the bomb in Japan. Was this an evil act? I claim that evil can only be defined by intention, not by an act. News of Osama Bin Laden’s death spread like wildfire. Reactions in the west ranged from overjoyed celebrations to some asking what the big deal was. The important thing is, Osama Bin Laden was finally brought to justice. While the Bible tells us, “not [to] gloat when your enemy falls” (Pr 24:17), there is nothing wrong with being glad that justice has been brought to bear for the thousands of relatives who have lost loved ones in the evil that was wrought. There is no question that it took a long time for justice to come, but it did come. I swore I would not drown in lengthy reading on this subject in the wake of bin Laden’s death. I remained steadfast until now. Your article captivated me from beginning to end. Your correlation to the Bonhoeffer/von Haeften/Hitler situation was perfect, and I hung on to the end! It left me hungry for more, and I will be adding it to my research interests. Well done. This is a wonderful explanation of the torturous working through of how to live out one’s faith truly in the face of those who are tools of Satan. We all must think more deeply in times like these. Andrew, I have read your article and appreciate very much your more extensive explanation of Bonhoeffer’s thoughts. I think you are right on target! It’s interesting, though, that God didn’t send His people outside the Promised Land to punish evildoers. They could go announce punishment, like Jonah, but were never called to carry out that punishment themselves. One thing is the cleansing of the Promised Land; another is punishing evildoers outside the Promised Land. I find this insight interesting, Tim, but even granting that God only ordered killing within certain rules of engagement, it doesn’t seem to negate the premise that He never asked His people to do something that is intrinsically evil itself. And what would you do with Romans 13?